The earliest of these poems reflect time spent in Barcelona where Patrick Kehoe taught English. Indeed many of the poems in this collection conjure the life of a young man abroad in that city, five years or so after the death of General Franco. Later poems pay moving tribute to his late parents and the people of his native town, Enniscorthy, as well as revisiting Barcelona. Other poems evoke in sensuous, luxuriant meditations the shimmering essence of a Corfu summer. A thoughtful and assured debut collection. Bronze light as though everything was free. With Sunday families from the suburbs. And take the bare look off intimacy. 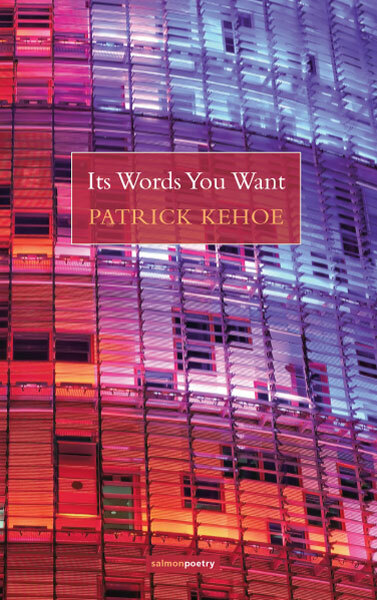 Patrick Kehoe was born in Enniscorthy, Co Wexford, Ireland in 1956. His first poems were published by the late James Liddy in broadsheets and issues of The Gorey Detail. Early poems were also published in the Irish Press. In recent times his work has appeared in Natural Bridge, Cyphers and The Scaldy Detail. Formerly a teacher, he has been working as a journalist in Dublin for the past 23 years. He is also a guitarist and songwriter. This is his debut collection.